This very high quality kitchen knife set can be used by professionals. 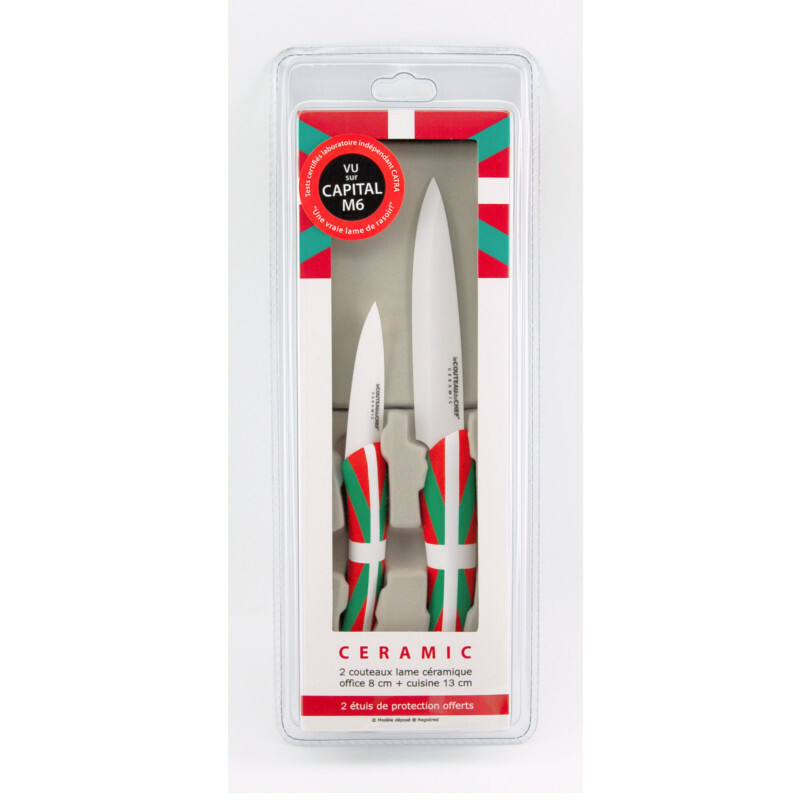 Their white ceramic blade ensures an amazing sharpness and an impressive durability and does hardly ever need sharpening. Their soft touch finish ergonomic ABS handles make this knives very light and easy to handle. What makes the charm of this Pays range created by TB Groupe is the design of this kitchen knife set. 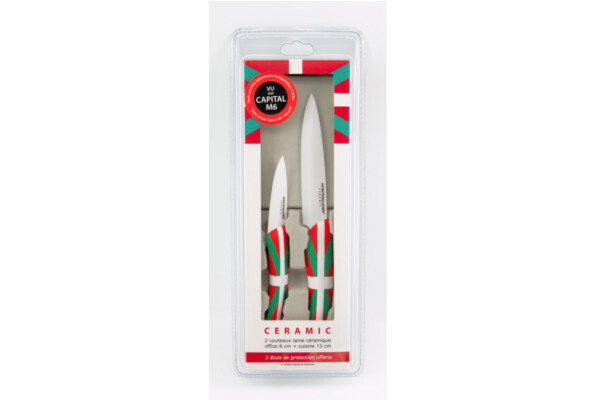 The handles of both the paring and the kitchen knife of this Flag/Pays range are decorated with the famous Pays Basque flag!